Hello SanFrancisco - Sunrise tour with views of the Golden Gate Bridge - a photographer's dream! Whether you want to get that instagram-worthy sunrise shot or just want to get a new profile picture - I'm here to help! We will meet at Vista Point just on the north side of the bridge and then go up to a WWII bunker for the sunrise! We'll be so close to the bridge you'll swear you touched it. 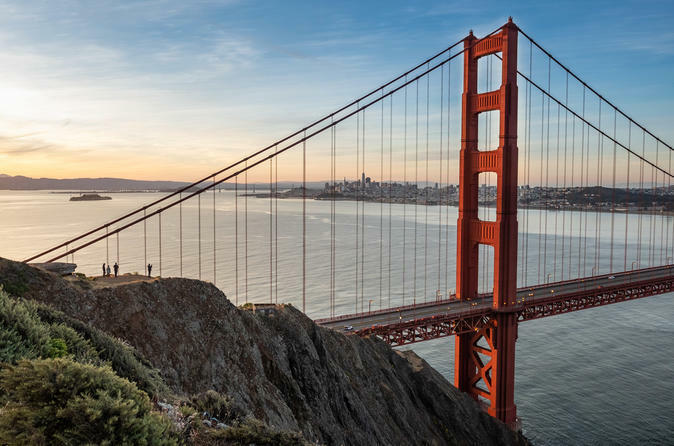 After the sunrise, we'll go to the 3rd spot with a different vantage point - this time with the cityscape in the center of the Golden Gate Bridge! I will provide transportation between the shooting spots - all you need to do is get to Vista Point! It's only accessible going northbound on the Golden Gate Bridge. Sunrise times change so please plan to meet at the location at least 1 hour before sunrise. ie: if sunrise is 7am, we will meet there at 6am. Message me and I'll help coordinate!